Measuring your kitchen for cabinets can be easy. 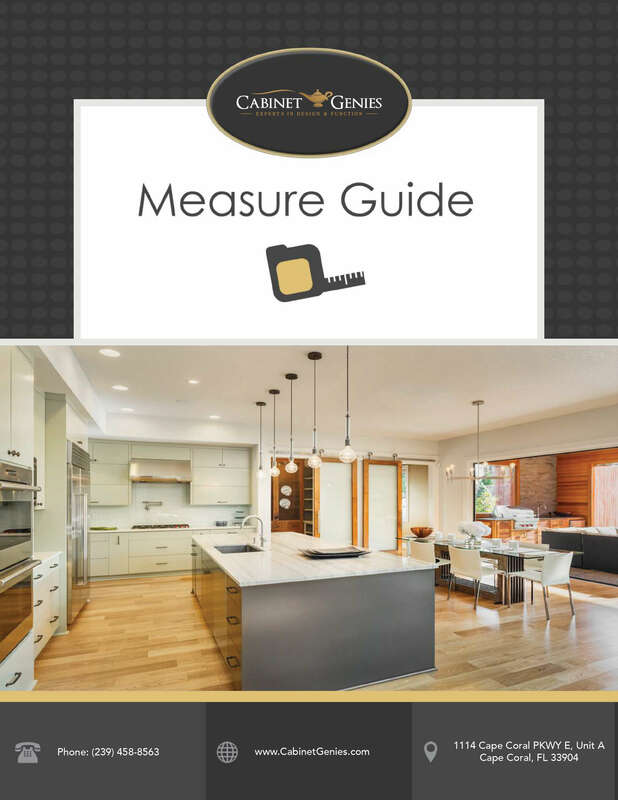 Used together, our step-by-step video, How to Measure Your Kitchen, and our Cabinet Measuring Guide show you exactly what you need to measure your space. Below you will find instructions on sending your measurements to your designer. The easiest way to send your kitchen measurements is to scan your drawing or take a picture and save it to your electronic device (computer or phone) and then email it to your designer. You can also help your designer by forwarding pictures of your current kitchen. Take a picture (or a series of pictures) of your measurements on your smart phone and you can email them directly to wishesgranted@cabinetgenies.com, Please be sure to include your contact information. There are also smart phone apps that you can ‘scan’ your measurements and they will automatically compile into a multi-page document and then you can email them to CliqStudios.